“Do not think of knocking out another person’s brains because he differs in opinion from you. It would be as rational to knock yourself on the head because you differ from yourself 10 years ago.” – Horace Mann, educator – How many traders feel this way? 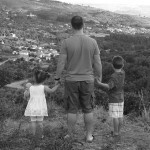 This is the blog I wished I had put in my blog !! Many people don’t realize that the most important element in trading mastery lies within them and is not a function of superior research or method..
Congratulations for your excellent blog !! More than a nice post, an important post. Its good to read this and be brought back to what we should be focusing on, but sometimes lose track of, instead of our own self-inflicted self pity. Great sayings. Success is not a road paved in gold but one in which we must create on our own. I agree with Darin above. Keep up the excellent work here Chris. It is very much appreciated. This is a great post! I’m a big fan of quotes form the greats and you’ve hit the mother load. Great post Chris! It is so valuable to surround yourself with this kind of positive energy and thinking- thanks! Thank you for sharing this amazing set of quotes and information.